I am driving down the Boulevard du Larvotto and the sun is about to rise. This is one of my favorite sceneries and it allows me to relax and prepare for a long work day. It is a quiet morning and I gaze out into the Mediterranean Sea. Those moments make it seem like this is a perfect world, at least for a few short moments. A perfect world! At least this gives a few individuals energy to work towards making this planet a place. As my car disappears into the Larvotto Tunnel my personal assistant calls me. She makes it a habit to be in the office before me and have my morning coffee waiting for me together with breakfast. She informs me that our Russian government contacts confirmed that the Kremlin slammed the breaks on the U.S. plans to install the fourth phase of their European missile defense. The Pentagon continue to reiterate that the system is necessary in order to thwart potential attacks from Iran as well as North Korea while the rest of the world, at least the intelligent part of the world, understands that it is not necessary for the U.S. to plant a system in former satellites of the Soviet Union. Alexei Pushkin, the chairman of the Russian Foreign Ministry, stated that American arguments were false and that such a system would only make sense if Russia is inside of the missile defense system and not outside. It is clear that the U.S. intends to destabilize the Eastern European situation with it’s almost aggressive agenda and their European push makes no sense and should be crushed not only by Russia, but by the EU as well and especially Romania and Poland where the U.S. plans to install their land-based mid-course missile defense system. Mr. Obama already cancelled plans to install a long-range missile defense system. Russian President Vladimir Putin strongly opposes the American invasion of its backyard. The U.S. planned system makes no sense at all and is equivalent to Russia installing a missile defense system in Cuba. I am glad that Russia makes sure the system will not be installed. Recent reports have shown that the U.S. system is worthless as it has not intercepted a single test rocket in training exercises since 2008. Russia did make a counter proposal to install a joint system, where the U.S. will provide its (useless) missiles and Russia operates the radar system which it already has in place. The U.S. declined that offer and the overall best solution would be for a joint EU-Russia missile defense system which would cover Russia as well as every European country. The U.S. is neither needed nor welcome to snoop around Europe and the Pentagon together with an aging fleet of Generals and politicians need to accept that. China, without mentioning the U.S. specifically, also objected the deployment of foreign missile defense systems in response to a ballistic strike from North Korea and will handle its own backyard without interference. Hong Lei, spokesman for the Chinese Foreign Ministry, said that he hopes parties will focus on regional security issues and work together. He also stated that current moves will increase antagonism and be counter-productive. 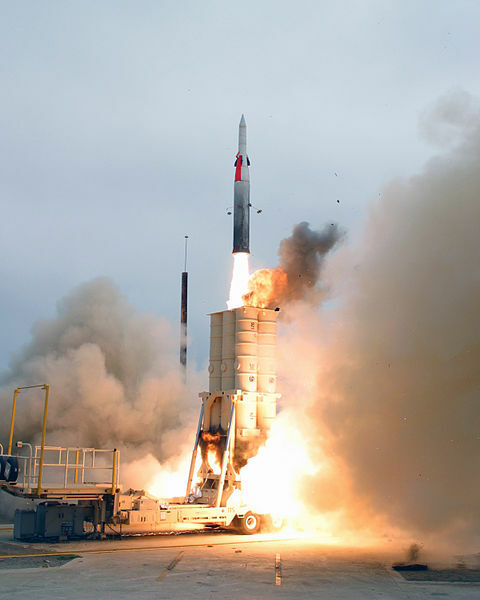 The U.S. will expand its existing missile defense in Alaska for an estimated cost of $1 Billion. It is rather unclear why they continue to deploy a system which was not able to shot down test targets, but there obviously need to be a waste of tax payer’s money on projects that do not work. This is only the latest set-back for the U.S. defense industry.